I am addicted to devices that extrude or shape pasta and I tend to buy them the second that I see them. 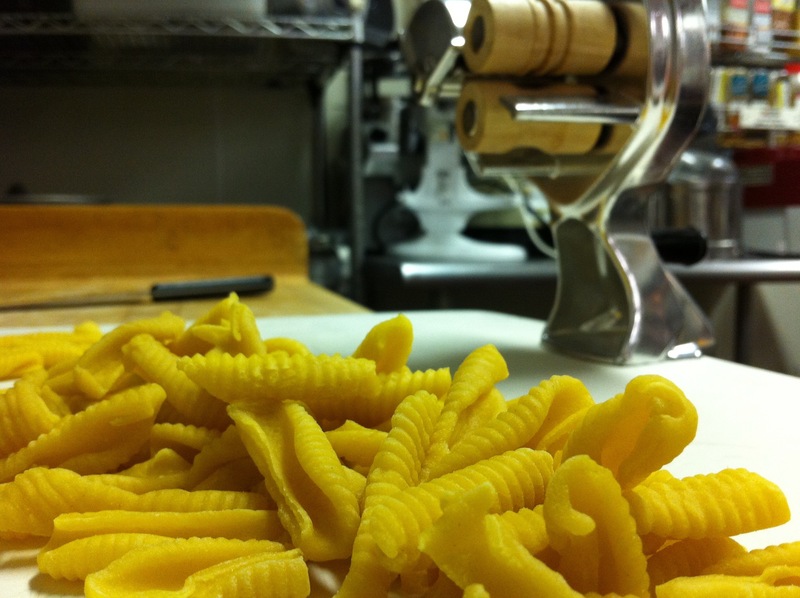 Cavatelli is a type of shaped pasta, meaning “small pasta shell” that is shaped like mini hot dog buns with ridges. You can use a traditional egg or flour pasta dough, but the most common style of dough for cavatelli is a ricotta dough. You can buy the cavatelli crank on Amazon and they are very affordable. I’m diggin the cavatelli CrAnK!